I paid my first trip to Afghanistan this month. The organisation I work for, Saferworld, is now working with some very impressive local and international partners in the country to contribute to the enourmous task of building ways out of the conflict systems that have held Afghanistan in their grip since the 1970s, and arguably beyond. The sheer scale of that challenge constantly hits you. Shortly after my departure the Taleban this week carried out a series of attacks which targeted security forces and Shi’a civilians, resulting in another huge loss of life. It's that cycle that leads so many to essentially give up on Afghanistan. Nevertheless this country has such huge potential, and it lies within its people. I was privileged to witness villagers from across the country who are part of a World Bank and Government of Afghanistan project to shape the governance of their areas, called Citizens Charter. The aim of the programme as the name suggests is to forge a new form of responsive governance whereby citizens themselves collaboratively shape action plans for their areas that are then funded through either that programme or by bilateral donors supportive of the project. I was lucky to spend some time with some deeply impressive colleagues from Oxfam in Afghanistan who are supporting this project across the country. So there we were. In the gardens of the World Bank compound in Kabul. Itself within the green zone and with military helicopters constantly clattering overhead. The crème de la crème of the global elites in their Western suits and canopes watching Afghan villagers describe their challenges, hopes and vision for their areas. And it was quite inspirational. The beauty of the artwork on these flipcharts attested to the level of hope and importance invested in them by the Afghans themselves. And they didn’t just talk about access to water, to education and health as you might expect. They mapped where power actually lay and where accountability was missing. And where conflict drivers lay. That level of analysis reflects the way in which champions of this project within the Government of Afghanistan, who I was also privileged to meet, have also encouraged those villagers to talk about. 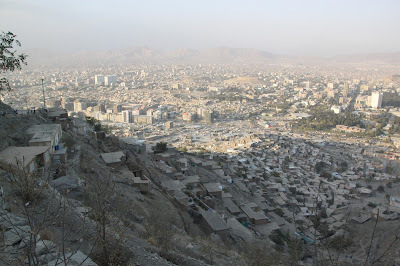 Later in that week I had a brief tour of Kabul and visited the famous “Television Hill”, so called after the TV transmitters that sit atop. 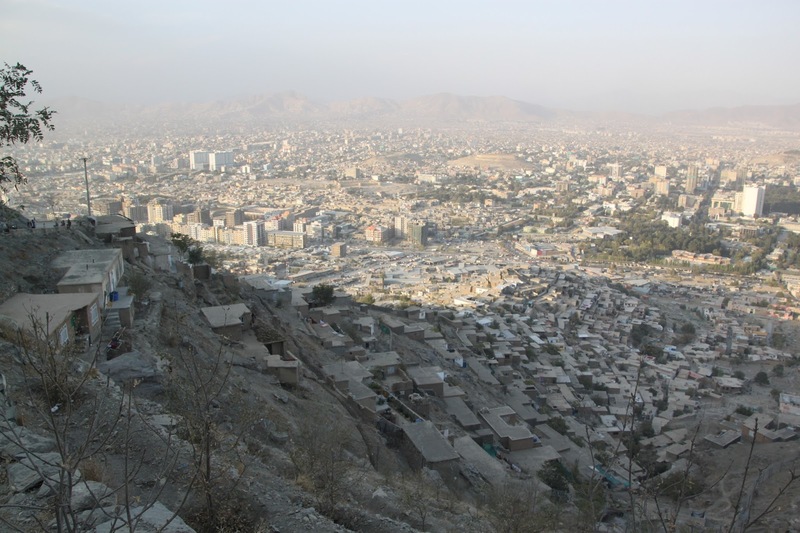 In 1879 it was the scene of a bloody confrontation between British forces and Afghan tribesmen, and British forts still stand in Kabul itself. To climb that hill you drive through sprawling informal settlements, all of which are covered in the dust that seems to be everywhere in the city. You see piles of uncollected rubbish but also industrious families building houses. Looking down on Kabul you are struck again by the scale of the challenge but also the resilience of the people that inhabit it. 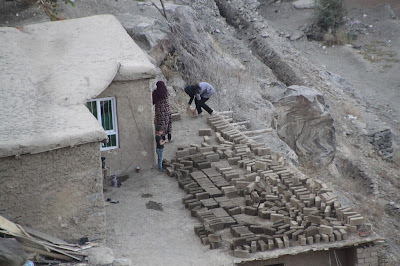 With the enthusiasm I’d witnessed earlier and the ingenuity of the people on the side of this hill I haven’t yet joined the school of thought that essentially gives up on Afghanistan. It’s a place surely where the two approaches of governance reform and peacebuilding must surely come together and work hand in hand. That afternoon in the garden gave a glimpse of what was possible.